What does it take to get your message out there and build an audience? How do robust and successful brands get built? You’ve come to the right place! On this episode of The Amazing Seller, you’ll hear from brand-building expert, Annabel Mendez. In her conversation with Scott, Annabel explains brand building, where to start in the process, how to make your brand stand out from all the rest, why customer service is so important, how to create compelling content, and so much more! If you are ready to get to work building up your brand, this is a great place to start! What is brand building? Why should sellers like you spend your valuable time and energy on this particular aspect of your business? Branding is telling the story of your brand. It’s also the way that your customers interact with every aspect of your business from packaging to logos. What is the status of your branding? Does it need a fresh take? If you want to build your reputation and expand your reach, you’ve got to make sure your branding is on point! To hear more about brand building and what it takes to get your business to the next level, make sure to listen to this episode of The Amazing Seller. When was the last time you gave your business to a company that you knew had terrible customer service? More likely than not, you wouldn’t! At the end of the day, everyone judges a brand based on how they’ve been treated. How would your customers describe your brand? Would they say that you have great customer service or would they say that it’s just average? A great way for you to make sure your brand stands out in a good way is by giving it all you’ve got when it comes to customer service. Make sure to listen to this episode of The Amazing Seller to hear Annabel Mendez and Scott talk about why customer service is so important! Why content creation is so important. Think about the last brand you explored on the internet, chances are they have a YouTube channel, a Twitter presence, a Facebook fan page, a blog, or all the above! Why do successful brands go through all the trouble to create content for their customers to engage with? It makes you feel more connected to the brand! When you find resources that are entertaining and educational, you’ll find yourself going back to that resource time and time again. As a business owner, you want people to have that reaction to your brand and the best way to do that is by creating worthwhile content. To find out how to create that type of content, make sure to listen to branding expert, Annabel Mendez on this episode of The Amazing Seller! All these great ideas and brand building tips and be a little overwhelming. If you want to succeed, you’ve got to fight through the draw to be overwhelmed and focus like a laser beam on one or two action steps that you can take today. 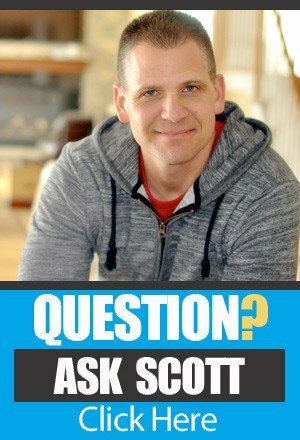 As Scott is fond of saying, you need to “Chunk it down” into bite-size pieces so you can set yourself up for long-term success. What will be your action step for the next week? The next month? What is your plan to get started and take action? Don’t assume that it’ll happen, it won’t! Plan it out and hold yourself accountable. Enjoy more helpful tips and insights about staying on target by listening to this episode of The Amazing Seller! [4:30] Scott welcomes his guest, Annabel Mendez. [6:15] What is brand building? [11:00] Where to start with the brand building process. [18:30] How can you make your brand stand out from all the rest? [23:00] Consider how your branding will impact your customers. [28:30] Customer service is EVERYTHING! [33:00] Draw your customer in, show them that you care. [36:30] Why content creation matters. [43:30] Tips you can use to get your brand out there. [49:00] Do you have to be passionate about your brand to be successful? [55:00] How to connect with Annablee and closing thoughts from Scott. …brand-building expert on who is going to reveal a very powerful formula used in top brands. These are brands that you probably heard of before and if not, well, I’m not sure how you haven’t but you probably have, Pampers, Covergirl, Olay, The Art of Shaving, PBS, Logitech, some pretty big names there, right? Now, she’s also worked with some smaller brands but used the same principles when building these brands. And the crazy thing is, is a lot of these things aren’t as massive as you would think but they are important. So, the four things that we’re really going to be covering is branding essentials, branding strategy, brand visuals, and brand messaging and execution. Now, her name is Annabel Mendez. I was introduced to her at Sellers Summit and actually it’s funny because she had just started listening to the podcast about a week or two weeks before I actually met her and she was like, “I really love it how you’re talking about branding now more than just go find a product and sell it because there is a lot that you can do with branding and you will also start to get brand loyalty which is another thing that we definitely will talk about in this conversation that I had with Annabel but what I really wanted to do here is have her on to go through a lot of what big brands talk about but also how we can take this and apply it to our brands. Now, you guys know we’ve been talking about brand building for a while now for at least the past 12 to 18 months and I’m going to be talking about it even more, list building, how to talk to your list, but then also how to represent your company as a brand. It all ties together. [00:01:57] Scott: Now, whether you have a brand right now or you’re just starting your brand, well, this will help you because if you’ve already started a brand you can always add this stuff in but if you’re just starting from scratch, well, then you can start from the beginning and then start to implement some of this stuff. The one thing I don’t want you to do though is get hung up on one of these things and be like, “You know, I can’t figure out my logo, so I can’t launch.” You’re going to hear us talk about that and why you shouldn’t just stop that you should spend a little time on it but then you should just push through, take some action as you guys always hear me saying and get it to market. Because if we have a brand that’s all polished but we haven’t like gotten any product out there, we can’t really get the ball rolling. We can’t get any feedback or any of that stuff. But if you’re just starting or if you have a brand and you want to tweak it and you want to add some more branding stuff to it, this will definitely help you. Now, this episode will be 539 so the show notes, the transcripts can all be found at TheAmazingSeller.com/539. The other thing I want to do here is I want to remind you that if you are just starting and you don’t even have an idea of the brand part yet, well, then I would definitely say go check out Product Discovery Bootcamp because this is ground level. This is where we are digging to really create our foundation, the brand in a sense, and Product Discovery Bootcamp allows us to do that and this way here you can get started on the right foot. So, I’m going to put a little shameless plug in here and I’m going to have you go check out TheAmazingSeller.com/Bootcamp and that will take you there. It’ll give you all the details. That’s where I would start and then we can start to add these branding elements to our strategy moving forward. So, definitely go check that out, TheAmazingSeller.com/Bootcamp and you’ll get all the details there. [00:03:44] Scott: Now, one other thing before we jump into this conversation that I have with Annabel, I wanted to say that the audio is not 100% where I like it and I was doing a little bit of testing. We actually shot this on video and I wanted to try to do that, so I could also possibly publish it on YouTube or at least clips from there, but the audio isn’t 100% how I like it. So, in the future, I’m going to be doing things a little bit differently and I’ll probably be recording my audio track differently than the one that we’re using here like you’re going to hear today. It’s not terrible but it’s not up to my standards but that’s okay because I’m going to let you guys to get the value from this conversation, but I just want to let you guys know I’m aware of it, but I am working on it. All right. So that’s it. All right. So, let’s get going here. Let’s listen to this conversation that I had with this branding expert, Annabel Mendez. Enjoy. [00:00:50] Scott: Hey, Annabel. Thank you so much for coming on the show. I’m super excited to be able to dive into this branding topic that I know that you are very excited to talk about because that’s your specialty and you and I met at Sellers Summit and you had said, “I really like it that you’re going to this branding direction. I’ve actually been doing that for years now.” So, I said, “Well, we got to get you on the podcast,” so welcome to the show. [00:05:02] Annabel: Thank you. I’m really excited to be here and like you mentioned, I love brand building. It’s one of my passion areas and for me, I learned a lot from you on the Amazon side because I’m a newer seller, but I’ve been doing brand building work for the last 15 years. [00:05:19] Scott: And so, what I love about this is Amazon has become the drug if you will of like starting an ecommerce business like and what I mean by that is it’s become easier to actually launch products, get products up on Amazon or a platform for that matter but the branding stuff kind of took a backseat for some people, not everyone. What I want to talk about because moving forward it’s getting harder, there’s more competition, there are people just launching products to launch products. They’re not building a true brand. I really want to dig into what you feel will be used today that will work but also work in the future and I think it comes down to the basic principles of brand building so maybe what we could talk about first is like what is brand building? Like what does it mean? Because I had someone the other day go, “I brand my products. I put my logo on there and so I’m a brand, right?” I’m like, “Not necessarily.” So, maybe we could talk about like a brand and what it means, and we’ll talk about some of the bigger brands that you’ve worked with but also like what’s it mean for people that are just starting a brand. [00:06:27] Annabel: Right. And I think one of the key pieces about brand building is that you have to separate the brand from anything else, so it actually becomes like its own person and it has a life of its own. It has an identity of its own. It has a touch, look, and feel in everything about it. It’s separate from the individual and I think that’s where a lot of people when they go aim to just selling a product, they don’t really define it as a being. They kind of just keep it as a product but what happens there is that when the customer comes to buy something, they don’t know the difference between Product X and Y because you’re a shampoo and they’re a shampoo so who cares as long as it does the basics. So, the actual concept of branding and brand building was started at Procter & Gamble where the founders 170 years ago said, “We’re going to start brands,” and the reason why they did that is because they wanted to differentiate themselves from the competition. They wanted for that product that when people saw it that they said, “I trust them. I want to buy from them. I know exactly what that experience is going to be like.” So, it’s not just slapping a name or a label on a product. It’s actually the full experience that you give to consumers. In the past when you would go and buy a product on the shelf, there’s a concept at Proctor that was first moment of truth and second moment of truth. Your first moment of truth is winning that customer at the shelf so when they see you they want to recognize you. For example, Tide has a very particular orange color that if you saw it, you know immediately this is the Tide color and they use the Tide color absolutely in everything that they do across the board because you want to have that consistency in the brand. You want to make sure that when they see you in the store shelves, when they see you online, when they see you on a Facebook ad, you’re recognizing that brand throughout and people know exactly what to expect. [00:08:25] Annabel: The benefit with that is that if they bought you once and you always deliver the same experience, when they come back and buy you a second time it’s going to be exactly like how it was the first time and that’s how you start building loyalty which is something that is extremely difficult to achieve, and I know that’s one of the biggest frustrations of sellers on e-commerce that people aren’t necessarily coming back to their product. They’re just coming back to whatever is on the Buy Box, whatever is ranking high, but if you’re able to achieve and build a brand, that happened to me the other day with mailers, those little pop mailers. Now, we could argue about that which we probably should because there are different levels I think of branding and all of that stuff and it will take time to develop up that loyalty, but I think your first shot at doing that is when someone does buy your product, you make that experience seamless and really all the way through everything is going to be the brand or on point as far as the brand goes. So, like if someone’s thinking to themselves like this is great and all, Tide, I mean they’ve been around for years. They’ve spent millions if not billions of dollars like educating people about branding. I don’t want to take years to do that. So, where do you advise someone that’s either just starting a brand or has a current brand and they want to start creating this brand building process? [00:11:02] Annabel: I think one of – there are three principles that I work off when I think about brand building. One of them is uniqueness and so you have to figure out like what is going to make your brand unique and it’s necessary just have to be about the product. So, coming back to those little zip ties, zip tie is like not a very complicated type of product but when the product is delivered, you have a little card in there that says, “Hey, thank you so much,” in your tone of voice of the brand. So, some brand is like maybe you want to be the cool zip tie that say, “Hey, thanks, dude, for buying my product. It’s amazing like we hope that you come back and buy again,” whatever it might be. That’s a touchpoint. That’s like a point of conversation where you’re building the brand. So, one piece is like uniqueness. Like you have to think about do I sound different than everybody else? What am I doing that is not like my competitors? Is there something else that I can do with my packaging, etcetera? So, there’s very little things that you can do to start tweaking that, a thank you email, the color of your zip ties. Maybe you want to make yours colorful. Nobody else has color in there. So, those are like smaller things. The other piece is like relevancy. So, once you figure out like who your target market is, can they relate to you? Can you have a conversation with them? And the third piece is consistency and consistency is what the big brands never miss and what the small brands always miss that isn’t that difficult. So, my tip here is to build brand guidelines and what is brand guidelines? 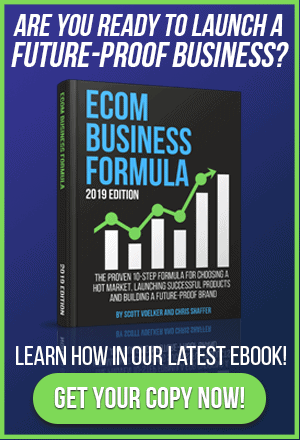 These brand books that are created by the huge brands, thousands of dollars, major agencies create these books for them but as a smaller seller, you can have your own brand guidelines that are going to help you with absolutely everything that you do. [00:12:58] Annabel: So, the key to get started with your brand guidelines is can you define your brand in three words? Because those three words you’re always going to use them to say let’s say my brand is caring, authentic and fun. So, as you do things you say, “Is this a fun color that I’m using? Does it show that I care?” So, you’re always measuring against those three words absolutely everything that you’re doing. If you can’t summarize your brand in like three words, you’re overcomplicating it and you’re not staying true to what’s really important for your brand. So, you start off with that in the brand guidelines as they come up. The other thing to include in your brand book is your logo. Logos are very important, and you want to make sure that you have a logo in a horizontal format, a logo in a vertical format, and a vertical in a square format. And you keep those three things together and you put do’s and don’ts. How can those logos be used? Let’s say you have a logo that has blue and somebody wants to put it against a background that’s yellow and you don’t want that. You put that on your brand guidelines, “I don’t want it to be used in this way.” Brand guidelines are used not just for you but with the vendors that you’re working with. So, let’s say you’re working, you hire a graphic designer. The easiest thing to do is to grab your brand guidelines and say, “These are my brand guidelines, this is where you can play, and this is where you can’t take the brand.” The other thing that’s super important to include in there is your fonts. [00:14:30] Scott: Ah, yes. I agree with that. [00:14:32] Annabel: Fonts are critical because maybe you don’t care about fonts and I know a lot of people don’t care. [00:14:38] Scott: I do. Yeah, fonts. [00:14:39] Annabel: But the mind starts recognizing that. The more consistent that you are with your fonts, the more that people say, “Oh you know what, this is Scott’s product,” and when they start and the mind is smart like even though it’s playing in the background, when something is off they’ll recognize and they’ll say, “This is probably a knockoff,” or it’ll trigger something like it’s not what I’m used to. You want to create that familiarity with it and then most people should have three fonts actually and this is not something that a lot of people know. You have a font that’s for your headlines so those are your titles. Think of your main product title, your main title on your website. Then you want to have a second font which is your subheader and your subheader provides a little bit more information about your product or it’s a sub-tab on your website. Then your third font is your body font and body font is what you’re going to write a lot of text with. And what you want with a body font to be like is something that’s easy to read. [00:16:48] Annabel: And that’s critical for printing because what happen sometimes is that you come back shocked when they print a certain package or when a factory prints your logo and then you’re like, “Oh, but that’s not really my color,” and that’s because different printers have different systems but in the Pantone system it’s very consistent across printers. So, it’s easier to nail the color versus when you come up with some random color and then, which happened to us in one of the brands. One of the brands has like a light-yellow color that somebody made many years ago and a T-shirt got printed and it came out like egg yolk yellow. But in order to ensure that like using Pantone’s will help your brand look consistent and when you’re printing from different vendors, that’s the best way for everything to look really nice and sharp. [00:17:40] Scott: Okay. All right. And those are small details but like you said those small details over time start to allow customers to recognize that it’s the true brand, it’s your brand. Even just the style of the font, if you’re a fun brand, you might be a fun style font. If you’re more of a serious brand, you might have more of a serious font like there are certain fonts for certain types of businesses and I know that firsthand. And logos I think also are pretty important. Now, what if someone’s already created a logo and they’re like, “Now I’m starting to listen to this and Annabel’s making a lot of sense. I want to re-create my logo,” like is it worth doing or is it not? I mean, if they’ve already started a brand and they’re already starting to get or they do rebrand, how would you address that? [00:18:30] Annabel: I mean, brands are always refining and there are logos for every price point. If you’re trying to position your brand to be a premium product and people know when they see something whether it looks premium or not, if your product is not there, then you have to figure out a way to get it there and, in those situations, I would say rebranding is a way to go because you’re trying to command a higher price point than competitors. If you’re not in the premium market, you can stay with the logo that you have as long as some principles are not being violated. For example, there are some people who try to squeeze a logo into a very tiny spot to the point where you lose all resolution. That’s a logo that’s not working for you, it’s not working for anybody. You just have something on there that’s a graphic. You can’t even call that a logo because if it’s not being recognized by a customer, it’s not a logo. You have a graphic at that point and you want to modify that. And the game changed really when mobile came out because up to that point nobody, not even the big brands were thinking about logos in very small dimensions but if you take a look at your product on a cell phone which is where a lot of people are doing searches and shopping and that logo you can’t tell whether it’s a little man on a horse or it’s a blotch on there then it’s time to change your logo and upgrade it to something that is easily readable on a mobile phone. But I mean these are all questions that every small business owner has because it’s an additional investment like you’re trying to buy inventory, you’re trying to build a website, you’re trying to pay for advertising, and then on top of that, you have to worry about the little details of a logo. [00:20:25] Annabel: But that’s something that can evolve but always keep it at the top of your mind to have something that’s crisp, something that people are able to see at a very minimum and ensure the consistency. As you start getting more sales, as you start getting more traction then go into the second phase which is like refining the logo because a lot of times people go in and they’re like, “No, no, no I hate this logo. I want a completely different look,” but what happens is that you’re not transitioning your past customers into the new brand which is something that you also have to be very careful about that you don’t completely scrap everything especially if your brand is already doing well and people relating to it. So, there’s where you want to do modifications. [00:21:15] Scott: Yeah. The other thing I would like to mention here is like different fonts. I just want to talk about that really quickly. A lot of people like the fancy scrolly type stuff and a lot of times I find that hard to read. If it’s hard to read even if it’s like kind of big but kind of small because the logo a lot of times aren’t that big. It’s not like a big giant header, you need to make sure that you’re seeing that font at all different sizes and I would stay away from personally those script-y things that are hard to read. They might look elegant and all of this stuff but if that is going to be hard to read especially at smaller sizes, I would personally stay away from that but that was just a little side tip. I see a lot of people they get hung up on the fonts that they want to use, and they love it and they’re looking at it on like their computer monitor and all blown up. They’re like, “That looks amazing,” and all of a sudden you shrink it down. You’re like, “What does it say?” So, you don’t want that either. You want it recognizable in the certain fonts that you’re using in the logos. I think also going into like your branding, even the packaging, if you’re going into premium products I mean look at Apple, if you buy an Apple product you get that box, you feel like that box, you don’t want to throw away because it’s so darn nice. It’s like it’s an amazing box, it’s put together. You pull apart. Everything has got so much detail in it. Now, I’m not saying that you have to go to that extent but I’m saying if you have something that’s like a piece of cardboard that’s really flimsy or something that’s more rigid, it almost gives you a sense of better quality because of the material that is being used. Business cards, same thing, if you get a flimsy little business card that’s printed out in your inkjet printer or you get one that’s actually made a little bit glossy, it feels just nicer. So, just little details like that I think can go a long way. [00:23:03] Annabel: Right. And their senses, now that you mentioned the boxes and flimsy, you have to consider all the senses when you’re doing branding. That’s something that a lot of people don’t do. So, for example, it’s like, “Well, but my brand is not edible so why should I care about the taste?” But visually so many things are connected that you also want to double check to see is there anything here that might trigger disgust or joy or considering scents as well? A lot of times people don’t but if your product smells like cheap plastic then it’s going to trigger that like all these things are coming into play so try to see if there’s anything else that you can do. Maybe you air out the products. Maybe you package them in a different container that has a different scent to it. The touch, is it a soft touch? Is it something that is hard or rough, but all these things start to come together as your brand evolves. So, one of the things to always consider is a brand is never done. You’re always going to refine it because your budgets are going to be different. Taste, people’s tastes are going to be different. What people liked a couple of years ago is not necessarily what they like today. And so, the brand, you also have to think about it as that living being that needs to continuously be worked. And one of the hardest things to do to start a brand I feel is finding that persona. Your customer persona like who are you trying to serve. That’s something that you start getting a hang of as you continue to sell to people, as you continue to research because, in the beginning, everything’s a hypothesis. You think that that’s the person who’s going to buy and sometimes it takes customer number 1,000, customer number 5,000 to realize who is that person and what do they want from my product? [00:25:01] Annabel: So, for example, when I’m ordering packaging, it’s kind of interesting because if you buy 100, it cost, I’m making these numbers up, it cost $1,000 and if you buy 10,000 it cost $1,800 so it’s not even, it’s exponential. It’s not even linear how you purchase but usually what I do is I’ll buy a quantity that isn’t so great even though it’s cheaper because I know I’m going to make changes on what’s on that package. I just know it like there’s no way to mail it first time right out of the gate so there’s no point in blowing the budget either to try to get all these things perfect. And as you go along, you buy the smaller quantities. You try to find printers and services. I mean, now with the Internet it’s awesome because you can go to printers that’ll do an order of 100. Just a few years ago because of the printing process, minimums were 10,000, 50,000 just to get a box printed. Not now. You can find certain solutions so even though per piece the cost is very high, total, the cost is lower. You use it, you test it, you share it with customers and that way you continue the refining process. So, I think that’s a trap that a lot of people get stuck with because next thing you know you have 10,000 boxes, 50,000 boxes. [00:26:24] Scott: And you want to use them because you paid for them. [00:26:26] Annabel: You paid for them and then you realize they don’t really work for you. [00:26:30] Scott: Yeah. We call that minimum viable product. It’s like get something to market. It doesn’t have to be perfect because one thing I do see people get paralyzed in as far as like even the things that we’re talking about is like, “I’m not really sure my logo. Oh, I’m not really sure on the font.” We need to get the product out of the door. We need to get it in customer’s hands so yes that stuff is important. I’m not going to argue with that, but we also have to give ourselves some deadline to say, “Listen, like we have to get this done because if we don’t get this done, no one’s going to see it anyway.” So, we have to get it to market. But like you’re saying, instead of doing 1,000, do 500 or do 300 so that way there when you do go ahead and go through that first quantity, if you want to modify the packaging, modify the logo, whatever, you don’t have 10,000 of them out there that you’re like, “I’m stuck with those. I got to get rid of those or I just got to scrap them,” and you don’t want to do that either. One thing I want to mention here is we’re talking a lot about like tangible stuff like things people can touch and feel and smell and give you a sense of what the brand is about. The one thing that I want to highlight here for a lot of people and they don’t realize how important this is and I think that you’ll agree with this and I think a perfect example is Zappos. Zappos built a brand around selling shoes. [00:27:49] Scott: And they weren’t even their brand of shoes. They were just a company that you went to, to buy shoes. Why are they so darn successful? It comes down to they created a customer experience that no one else was willing to do, period. [00:28:07] Scott: So, it’s customer service. There’s another guy he’s actually a guy that I’ve been talking with privately about his brand and he’s doing like $300,000 a month and the reason why he’s doing so well, and he believes it is because he has just phenomenal customer service, customer journey. Let’s speak on that a little bit. What’re your thoughts on that? [00:28:32] Annabel: Customer service is everything. It really is and going back to the trust, so we talked about the orange on Tide and being very unique but if you’ve ever tried calling one of those numbers, if there’s ever a problem with their products, they will respond, and they will either send you a voucher for a new product or try to do everything to make sure that that experience is a favorable one for every customer. And I think that companies that take that very seriously and don’t ignore their consumer complaints and go above and beyond for customers are the ones that at the end of the day they win. Just I think it was about a month ago I got the rare opportunity to listen to Warren Buffett talk at a conference that I was at. I mean, it’s impressive to see Warren Buffett live. I mean he’s 88 years old and he was talking about a lady that she was recently divorced, and this was many years ago and she opened up a little furniture store. And he said that her couches were no different than any of the competitors. The mattresses that she was selling were no different than anybody else’s but her customer service was what set her apart and she would go above and beyond for all her clients and years later that was a company that Warren Buffett bought from this lady for millions and millions of dollars because it’s really about the value that you add to your customers and it was like everybody else’s. Recently, I placed an order from a Chinese manufacturer which I had never done because my products were all made here in the US and I went to your episode on how to contact a manufacturer, create the email. I created my eight steps. I started with 20. Only eight of them actually responded. That’s phase one of the customer service. [00:30:53] Annabel: They weren’t the cheapest. They have the exact same product as those other 20 that I’ve started with, but they had the most thorough responses. They had fast response time. They answered immediately anytime I would send an email. I had the sample within three days and that’s who I went with. And a lot of times when you see several of these products online you think, “Oh, but I’m one of the many,” but your customer service is really important. That’s part of the brand experience and how you speak to the customer is really important too. I think people want to be heard, people want to feel like you care, and people want a solution to the problem that they have. [00:31:40] Scott: I think knowing the avatar as well like you said, knowing who your customer is. If I’m selling bass fishing gear, I’m probably going to find out that 80% of them are men and you might even have a certain age demographic that we’re going to be targeting. So, there are certain things that I would say to a guy that’s 50 years old that’s fishing in that language than I would maybe a woman that’s a new mom like there’s totally different language there. There might be different comedy or you know what I mean, like funny stuff or maybe there are things that you referenced in the market that only the market in bass fishing would relate to that would know about. I mean, us in the Amazon space it’s FBA like if I say FBA to someone off the street, they don’t know what that is. It’s our own language. We know what we’re talking about. So, I think that’s important to know who that is and speak directly to that person. We talk a lot about it. Even on like my emails that I write or even on this podcast, I pretty much know who my audience is and I usually speak to that person or those people, but I try to think of myself and like me and you talking right now. It’s that conversation and I think you need to have that conversation with every single transaction because you never know when that person is going to buy from you again or maybe right now you’re thinking, “Well, I only have one product,” and they’re not going to buy another one, but you might have another product down the line that they would be interested in that you could eventually sell them. So, why would you not want to create that experience to be amazing right from the get-go? [00:33:18] Annabel: Right. And to think that you only have one product, I mean that’s such a waste of time because really like what a lot of companies know is the money is made in the repeat purchases. [00:35:28] Scott: Well, and I think that leads into like e-commerce people think of just their store. If you think about the actual stuff that can lead up to the sale and if you can start building that relationship whether that’s you or someone else that’s the face of the brand or even just the voice of the brand, and then you can reach out and like you said like maybe five tips that you should try this weekend on your next fishing trip to catch more fish or whatever it is or a story that you talk about which happened three weeks ago when you’re out fishing with your grandfather and this happened. So, it’s a way for you to connect with the audience, letting them know that your brand is really all about this market because you’re in love with the market in a sense or your brand is in love with the market and you’re going to do your best to educate them, entertain them, all of those things, and then that will eventually lead to that sale. There is a company right now that does a great job at this in the fishing space and it’s called mystery tackle box I think it is and basically every single month, that’s a subscription service which is brilliant, and every month you receive a box of new lures to try out for – yeah. It’s a great model but they have a ton of content that’s published on their blog every single week that’s giving tips and helpful advice and stories and all that stuff. So, you want to come back to that to be able to kind of learn and also entertain and all of that stuff and you know that they’re kind of leading this space because they’re in it and it might not even be them. It’s them reporting from a tournament that someone was in or whatever but it all then leads back to possibly buying a subscription service of mystery tackle box that you’ll get every single month for $29.95. [00:37:10] Annabel: Right. And when you’re small, one of the key like I get asked this all the time they’re like, “But I don’t have time. I don’t have time to write all that content. I don’t have time to go research.” And I think that there are several things that people can do. One of them is find contributors. There are people who already like in love with this and they have a lot of knowledge and they’re always answering like people’s questions on those Facebook groups and maybe you can incentivize them and say, “Hey, would you be willing to write some articles in exchange for product?” The other way is there are services like Fiverr and Upwork where you can go and find freelancers that might be willing to or they would write content for you. The other key too that’s like a little trick is people don’t write every two weeks or every week. A lot of people what they do is you set aside one day a week or one day a month and you write 10 different little articles all at once and then you start spreading out the contents. So, think about when maybe there’s some downtime in your business and maybe it’s just once a year that you’re going to write all this stuff. You go, you sit down, and you start creating these little articles, these little posts and they don’t have to be super long. And if you’re not comfortable writing, you can do them in video. If you’re not comfortable in video, you can do in little pictures. I mean there are so many different ways to create content that if it’s something that you like and it’s something that you’re really into and you have people that you can source information from, it should be fairly quickly to do. So, definitely worth your time. [00:38:57] Scott: Yeah. I mean, I think you just have to be aware of what’s out there and I agree with you like batching is huge. It’s been huge for me even with this podcast doing three episodes every single week for the past three years it’s all because I’m batching. I’m able to record a bunch in a row and then we break them up and then we distribute them. Same thing with YouTube now. That’s what I’m doing, more of that. But even in our new brand, our physical products brand, we’re actually doing the same thing. We’re planning, we’re thinking of the topics that we could create. What do people want? What have they been talking about on other groups that we should probably address? But here’s the thing. If you’re not like good on camera or you’re not comfortable on camera or you’re not maybe good at writing. You could literally just take a microphone and you can go interview people that were experts at this stuff and then you can transcribe that, turn it into a blog post. You can even turn those audios into something on YouTube, on a podcast, whatever. To me, it’s never been easier than now to be able to get out there in front of your market with helpful content that can then lead them to your store which will then lead to a sale. It’s just never been easier than it is now. [00:40:16] Scott: Yes. Very good point. Very good point. Yeah. [00:40:54] Scott: Well, I think what people should do is commit to a certain amount of time, certain amount of episodes. If all you did, I mean, even this like even if you said to yourself I’ll do six months and I’ll do one a week or maybe you said, “I’m going to commit to this for a year and one episode or one post a week, that’s all I’m going to do.” So, now you’d have 52 pieces of content out there and you’ll probably find that with that one piece of content, you can probably create two or three other pieces of content that’s related to that content that you just posted. Just like this here, I’m recording this, and I will publish this on the podcast, one platform, and I’m also going to publish it on YouTube, another platform. And if I want to, which I will, I will post this on my blog which will also have show notes, which will also have stuff. So, I’ve got three places that this content will be placed that I potentially can have traffic from. So, it’s the same idea. You can just take that one piece of content and then distribute it out to different channels just by having it transcribed. And again, like places like Rev.com, $1 a minute like they’ll transcribe and it’s like 99% accurate. It’s so easy. So, a lot of great things for people. And I think that building a brand is really about that. It’s about educating, entertaining like all of that stuff in your marketplace and then again once they get into your brand like you said, explain in three words what your mission is or what your experience is or what your mindset is for like when they experience your brand or just even your thoughts on the marketplace in the brand like just your positioning on it. You might be like, “You know what, I’m not going to be like those guys. I’m going to be like these guys come along with us.” I mean like look at the prepping world like people that they’re afraid that if something happens I got to have a whole bunch of food and all of my supplies ready. That’s a huge market. Now, some people would argue with that and go, “I’m not doing that like I’m not.” So, then you’re against those people, right? [00:42:55] Scott: So, it’s like you can play that like, “Hey, if you want to be like us, come on over here. If not, that’s cool.” You build like a little tribe in a sense. So, there’s a whole bunch of different things you can do, and I think it just comes down to laying out some type of roadmap and plan and then execute like really like in one chunk at a time, not overwhelming yourself. Okay. So, to wrap this up, what are some last maybe tips or advice even maybe if it’s just a simple thing where people can wrap their head around like, “I want to start a brand or I’m already selling products, but I haven’t really created a brand,” like what would be your advice to them? Once you have that part figured out then you go into, “Okay. Let’s start developing the logo,” and again you rank it against the critical words that you have, then your fonts against the critical words. Then you start going into, “Okay. If my brand were a person, what would they be like?” Start describing them. What would this like person’s or brand smell like, look like, feel like, all these little elements you start putting them together and I collect a lot of these things on a binder. I’m very old school. So, for a lot of people that are not like I have my little binder. I’ll show it to you right now. Very old school. Not super nice. Not super neat but here I have all the elements that are important to me and I write it down and I have my plans, and this is a little bit of the brand. [00:45:30] Annabel: And I talk about who is my persona? What do they do? Where are they? What’s my communication plan? What are some critical dates for my brand that I want to hit? So, I have some of the basics like New Year’s, Valentine’s Day, but then I also have things that are very specific to my product which is like Grandparents Day, etcetera. I have this that’s more detailed. You can see I went through and I said self-improvement products. Fitness is really important in this time period, etcetera. I mean, we haven’t even touched reaching media, but media has editorial calendars as well and you want to be aware of that for like national themes. So, these are national magazine themes that I look at as well and I’m going to create content that relates to these things as they’re coming about. [00:46:32] Annabel: But then I also have like my list of where do I want to be featured in? Because I have goals of where my brand could fit in and that’s how you start really becoming recognized is by using all these different outlets and having that calendar but that probably takes I think I have like 10 sheets worth of things and that’s it. That’s it. So, I keep it in the little binder. I review the binder once a week just to make sure that, okay, is there anything that I’m missing here? Are we not living up to the brand? We’ll be working on packaging and I put it against does it have the who, what, how of my brand. I’ll compare it and then like, “Okay. We’re on the right track. We’re not on the right track,” and I’ll write things down. I’ll write things like this worked. This didn’t work. Those again, I’m not doing again, but keeping it all in the same little binder. I keep all the labels that we’ve created also, and I track it and I say, “This was missing that. This is the other,” and that’s how I keep refining. [00:47:36] Scott: So, what you would improve you make notes and this will work now but we want to improve this and all that stuff. I love it. I think it’s funny a lot of people are digital. We’re in the digital world but I think nothing beats – I have one of these in front of my – this is my last interview that I was on and it’s basically, I jot things down like all the time but pad and paper like I’ll do that too if I’m planning. I’ll walk away from the computer and I’ll just take my notepad and just go and start brainstorming or writing ideas, things that are coming to mind. And I can see it more visually when I do that stuff, when I map things out, and it seems more real I think when you actually put pen to paper and I just think it’s important. I think a lot of people are doing that. But I think having those basic principles down and then building your brand off of those principles and then they kind of cross evaluating like say, “Okay. This is what we want here. This is it. Let’s see what the values are, let’s see what the mission is, or let’s see whatever. Let’s see the matches.” And if it doesn’t then we got to figure out why and we got to adjust and tweak. So, I love that. I think that’s a great idea and for anyone just starting, especially, let me ask you this one last question, what’s your thoughts on like if people are either just starting or they’re in their brand right now and they’re saying to themselves like, “I don’t know if I’m really just passionate about this,” do you think you have to be passionate about a brand to be successful? [00:49:10] Annabel: It depends on your definition of success. If you really want a brand that, for example, if you want to be able to sell your brand in the future, the more passionate you can be about your brand the better off you’re going to be. This is not about making a few thousand dollars a year because for that you can probably just do it selling any product out there and just making sure you always have inventory and that your product is of a certain amount of quality. But if you’re looking to build a brand that you want to sell in the future, absolutely, because that’s the other thing too and we didn’t talk about it in this episode which is what would an investor or somebody who is looking to buy a company look for and what are those assets that you can sell as a product company? It’s very difficult to sell your zip tie company to an investor when there’s no branding behind it because what that tells to the investor is that there’s no uniqueness of that product and they can just go and buy zip ties themselves. So, when somebody’s looking to assess a business as a whole, these elements of branding are extremely critical for how they’re going to value your brand. [00:50:32] Scott: That’s a good point. Yeah. I’ve always said like with your assets and stuff as far as like what the business assets are, not just financially but like your leverage, the audience you have built, a list that you have, vacations that you have, the content that you have that resides that continue to get you traffic. Like all of that stuff is huge. And it’s funny I just did a training on for YouTube that basically goes through like the three pillars and I talk about like having your home base where basically all of your content will reside and that’s where the experience will happen. People can buy there too but that’s where you control that experience and that’s an asset. It’s like if we get that asset built and we do what you said and what I said and get content there and we start getting traffic there, we have a real tangible asset now that we own and we control. All that comes across and people want to relate to brands. It’s why you see some of these big box retailers starting to shut down because people want brands and companies that are more relatable than what they were in the past. Many times, not looking at price and going after, is this a story that I can relate to. The pendulum is swinging back to smaller boutiques, niche brands, brands that are like more human because people are kind of over it. They want to relate for as much as we’re separating ourselves from like brick-and-mortar and maybe going online, it’s also an opportunity for people to know even more about your brand. Before, it was only what was on the backside of the carton that told you about companies. Now, the About Us page on a website is the second most visited page after the homepage. [00:54:02] Scott: Oh, I believe that. Yeah. That’s why I think incorporating your story, your mission, why you started your company, whatever, I think is huge. And I think also the show pictures of people that are involved in the business or the brand and that could be you. It doesn’t have to be you. It could be whoever else is maybe the entire team that’s behind the brand or if it is just you, you or if it’s you and your wife or husband or whatever, include those pictures. I know myself personally if I go on an About Me page and all I see is text, I don’t see an image, I feel like I can’t connect as well. But if I see the actual face to who the brand is I just feel a little bit more connected. I feel a little bit more as they are human behind it versus just a corporate-y feel. [00:54:47] Scott: This has been awesome. So, I guess the last thing that I should probably ask you, are you cool if anybody wants to respond and ask questions? [00:54:57] Annabel: Yeah. Absolutely. They can reach me at my email. It’s amendez@marketites.com. We’ll put it in the show notes for people to see and then they can also visit my website, Marketites.com, where I have a cool guide on building your brand on and off Amazon. [00:55:13] Scott: Definitely, I’ll link that stuff up in the description and the show notes to this episode, so people can go and check that out. I definitely recommend that. [00:55:21] Annabel: Always happy to help. [00:55:23] Scott: Yeah. So, awesome. So, thanks so much. I appreciate it and keep us posted on anything new and exciting and we’ll probably have you back on and we’ll do a little update. [00:55:31] Annabel: Awesome. Thank you. Bye. [00:55:32] Scott: All right. Annabel. Thank you. [00:55:35] Scott: All right. So, there you go. There is some brand building stuff there for you that you can sink your teeth into. One thing I do not want you to do is get overwhelmed thinking that you have to do everything because you don’t, but you do have to get started and whether you are just starting or if you are a current brand, but you want to change some things, maybe you want to do a rebrand, any of that stuff, you can take these elements and plug them in. But really the one thing that I want to highlight here is just being consistent all the way through the brand whether that’s colors, whether that’s the message, whether that’s the face of the brand or the people of the brand like I just think it’s important to stay consistent all the way through as best that you can. Now, that doesn’t mean it’s always going to play out that way and it doesn’t mean that you can’t pivot, you can’t make adjustments. You can but just I like to think about it as the user or the customer or the person entering your brand will have a similar experience going all the way through. Because that way there people know what to expect and it also seems like, I don’t know, like you’re a tighter company like you’re a tighter group or your whole team is on the same page and your products are on the same page and like everything just kind of makes sense. The other thing I want to highlight is story. Whenever you can add a story or messaging or maybe it is your message, your brand message, whatever it is, make that thing stand out. Make that thing part of whether it’s your branding, whether it’s your, maybe it’s your email sequences when you’re building that list and we talk a lot about building the email list. That email list is a way for you to start talking about your brand and really start letting people hear how you feel about the market that you’re in. Like I said, if you’re in fishing, well, you’re going to be very passionate about fishing and there’s probably fishing language or terms that I don’t even know that you would start to use. [00:57:34] Scott: Like, that’s a way for you to connect and then also allow people to enter the brand but also you can start leading them through how you want to really represent your brand and your products and services and messaging and all of that stuff. So, I just kind of want to throw that out there. It’s really important that you understand that, but you don’t have to know it all right now but definitely go back. You might even want to listen to this again. Definitely go grab the show notes, TheAmazingSeller.com/539. Take notes, highlight, print them out, whatever you need to do so this way here you can start to add these things into your business and your brand and moving forward it will definitely help you. That’s my opinion but I believe it will because I think that anyone that has a brand and you can make it stronger and just really give people a great experience, a great journey. I always like to look at that as a customer journey and experience. That is what they will remember. All right. So, show notes, TheAmazingSeller.com/539, definitely go check out Annabel. She’s great and she’ll definitely get back to you so if you’ve got any questions, definitely hit her up, check her stuff out. I hope you guys enjoyed this episode. I had a blast recording it and really going through this brand building stuff. You guys know I’m starting to geek out on it and I love it so hopefully, you guys are too. All right. So, that’s it. That’s going to wrap it up. Remember as always, I’m here for you, I believe in you and I’m rooting for you, but you have to, you have to, come on, say it with me, say it loud, say it proud, take action! Have an awesome amazing day! And I’ll see you right back here on the next episode. TAS 453: How To Start Selling on Amazon with Zero Money and Profit FAST!